Brief Synopsis – The “Tramp” finds an abandoned baby on the street and brings him up as his own. When social services want to take the child away, the Tramp does all he can to keep him. My Take on it – When people think of Charlie Chaplin, serious tearjerker films like this are generally not what comes to mind. This was his first full length movie as director and at a slim 52 minutes it can clearly be classified as short and sweet. The subject matter is emotional and instead of hysterics, he uses his same signature character to show us emotional attachment that society didn’t quite approve of at the time. 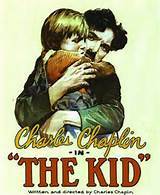 Jackir Coogan as the young boy is funny and emotional too in his own way. This is widely thought of as being one of Chaplin’s best films. Bottom Line – Short and sweet. One of Chaplin’s most emotional films that has a bit of his slapstick, but is mostly serious. Highly recommended! One of my favourite films. An absolute must-see by any serious film fan. Totally agree Jordan. Tnx for stopping by and commenting! seriously, that scene truly is extremely emotional. Thanks for stopping by and commenting Emma! Such an amazing film, one of my favorite Charlie Chaplin movies! You’re right how it’s so emotional. The brilliance of Chaplin in my opinion! My favorite overall of his is The Great Dictator, but if only counting silent films, Modern Times takes the cake followed closely by this. Absolutely wonderful movie. Cannot watch it, ever, without tissue. Completely understandable. Tnx for stopping by and commenting! Great pick! One of my favorite movies of ALL TIME! This and City Lights are un-paralleled imo. He was a true genius!